Sen. Kirsten Gillibrand, D-New York, is calling on the Trump administration to support nation-wide, gender-neutral paid family leave program. The senator vowed to "challenge the president" through her support of the FAMILY Act, which she introduced to Congress earlier this year. The proposed legislation offers up to 12 weeks of leave with partial pay through family and medical leave insurance. She also called for paid leave for people who care for a terminally ill family member or parents who serve as caretakers for a disabled child. 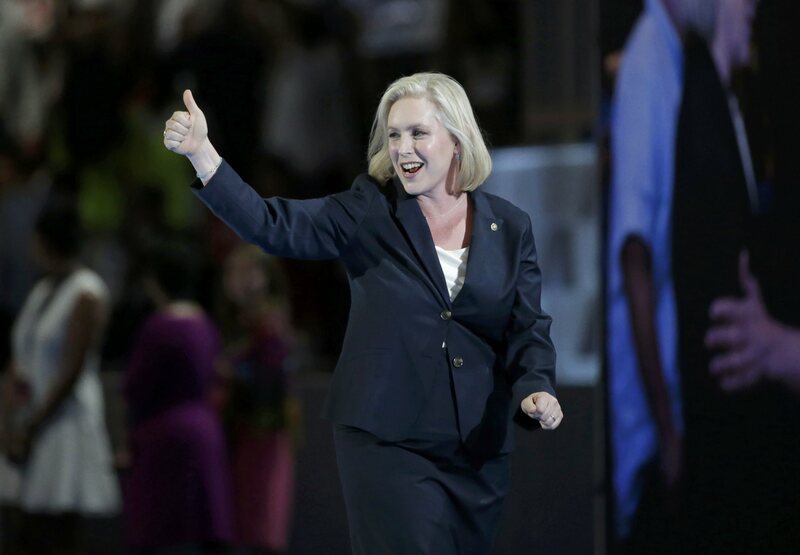 "This moment in time is about the democratization of democracy," Gillibrand said. "It is about each individual having a voice." On the campaign trail, President Trump announced his support for making child care more accessible and affordable, as well as offering six weeks paid maternity leave, paid for by eliminating fraud in unemployment insurance and redistributing it to the leave program. Thus far into his presidency, Mr. Trump has not followed up on these promises. Gillibrand touted the issue of paid leave as a middle class problem and called her vision for the leave program "sustainable" for companies of all sizes. "If all of us are part of it, we will win," she said. "We will defeat Donald Trump, we will defeat his horrific policies, and we will do good things like pass a national paid leave plan."